Maryland’s religious history is unique in colonial British North America. We largely remember Maryland as the Catholic colony that embraced religious toleration and religious freedom, in contrast to New England’s stodgily Puritan establishment or Virginia’s scattered Anglican church. Scholars and commentators looking for sources or influences on the First Amendment are consistently drawn to the colony’s justifiably famous 1649 “Act concerning Religion.” This act made it a crime to “declare call or denominate any pson or psons whatsoever inhabiting” Maryland “an heritick, Scismatick, Idolater, puritan, Independant, Prespiterian popish prest, Jesuite, Jesuited papist, Lutheran, Calvenist, Anabaptist, Brownist, Antinomian, Barro-wist, Roundhead, Sepatist, or any other name or terme in a reproachfull manner relating to matter of Religion.” “[T]he free exercise” of Christian religion was explicitly protected by the act, with repeat violators of their fellow colonialists’ conscience were to be “severely punished by publick whipping & imprisonmt.” The “Act concerning Religion” places Maryland next to Rhode Island and Pennsylvania as one of the colonial regimes committed, for European Christians at least, to religious freedom in the seventeenth century. 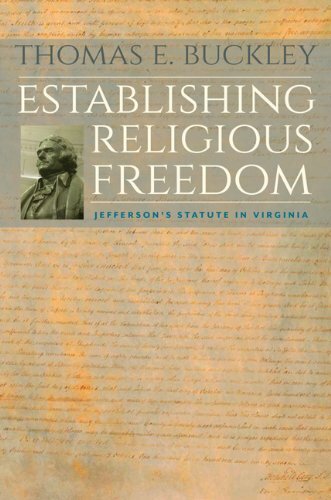 The problem, and what makes the colony unique, is that Maryland’s experiment in religious freedom failed.